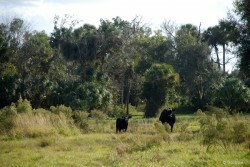 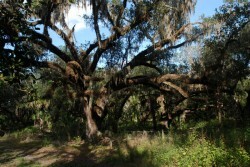 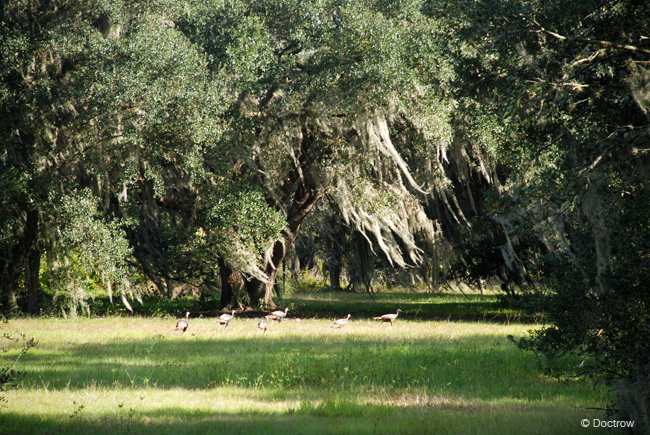 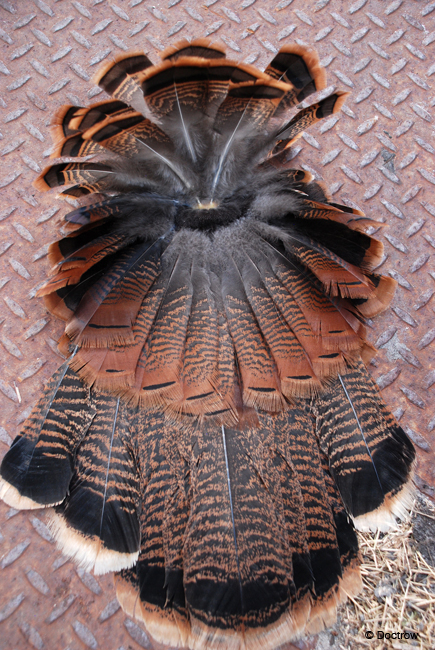 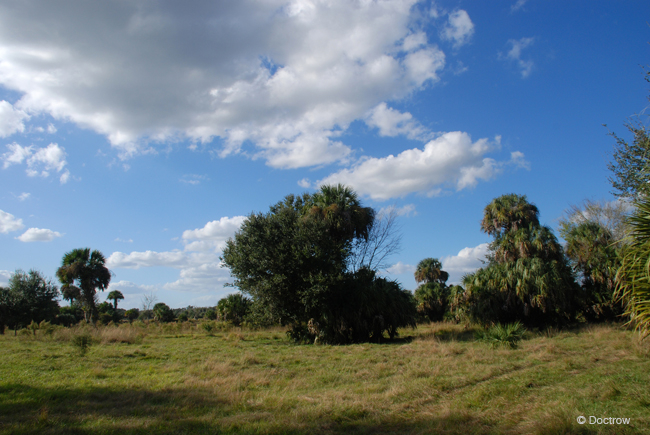 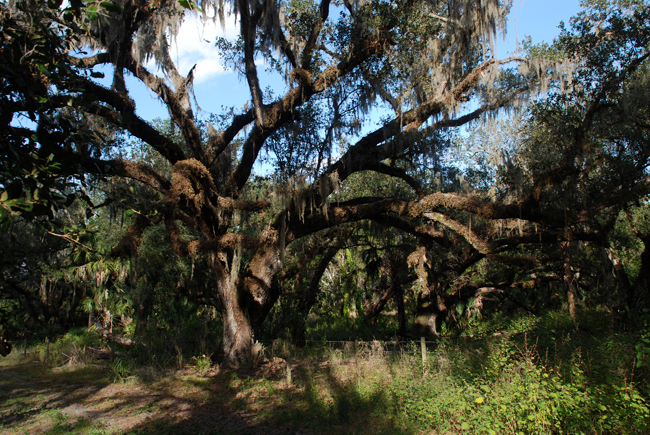 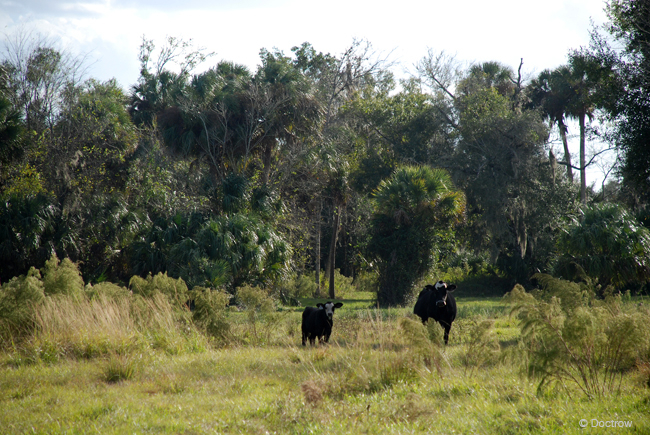 November 2011 – As I drive down the dirt road, puffy clouds swell and spread across the deep blue sky and grass green pastures stretch to thickets of cabbage palm and live oak. A mild Florida day, 78º. 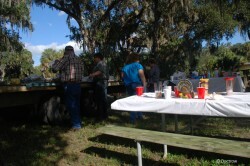 A summer warmth filled with autumn fullness makes a perfect day for Thanksgiving in the woods.